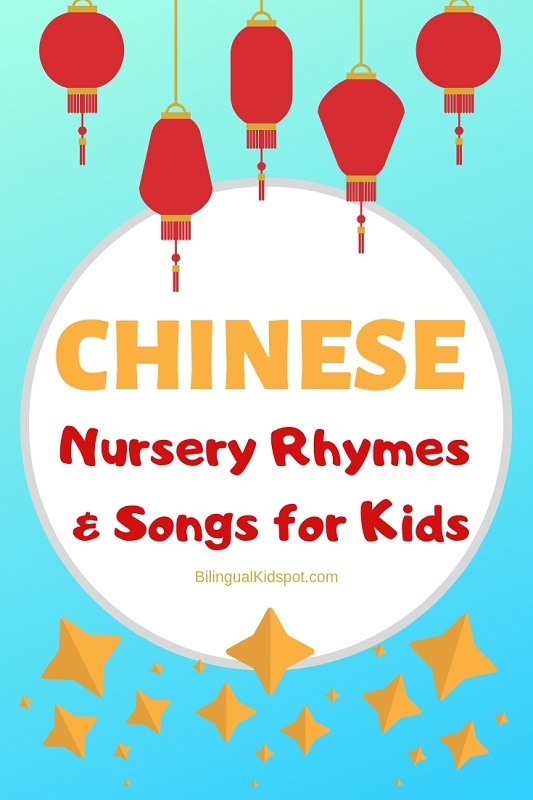 Looking for Chinese Nursery Rhymes and songs for kids? We all know that singing is a wonderful way to learn and reinforce another language. Listening to Chinese music and singing along to Chinese kids songs can help children become more confident being exposed to, and using new vocabulary repetitively. My mother grew up in Hong Kong, and during her time it was rare for those in Hong Kong to speak Mandarin well. However, my mother speaks Cantonese and Mandarin very fluently. When I asked her how she learned, she responded, “I learned through singing”. I am now employing this method to reinforce Chinese with my daughter, and along the way, picking up some Chinese myself. Below I’ve compiled a list of 10 Chinese nursery rhymes and songs in Chinese for kids that you’re already familiar with in English. Now you have the lyrics in Mandarin Chinese and can sing along! Now Itsy Bitsy spider went up the spout again! Túrán, pàng dàn er shuāi zài dìshàng. Dōu méi fǎ bǎ pàng dàn er zài zhān hǎo. Pàng dàn er yǎnjīng zhōuwéi kàn. Pàng dàn er zhǐ kàn dào xuēzile. Pàng dàn er ná chū yī zhī bǐ. Dōu gāoxìng pàng dàn er zhān hǎole. All he could see were buckles and hooves. Were happy that Humpty’s together again. Bàba shǒuzhǐ, bàba shǒuzhǐ, nǐ zái nǎlǐ? Wǒ zài zhèlǐ. Wǒ zài zhèlǐ. Nǐ hǎo ma? Māmā shǒuzhǐ, māmā shǒuzhǐ, nǐ zái nǎlǐ? Gēgē shǒuzhǐ, gēgē shǒuzhǐ, nǐ zái nǎlǐ? Jiějiě shǒuzhǐ,Jiějiě shǒuzhǐ, Nǐ zái nǎlǐ? Bǎobǎo shǒuzhǐ, bǎobǎo shǒuzhǐ, nǐ zái nǎlǐ? Here I am, here I am, how do you do. Let’s clap our hands together. If you’re happy and you know it, stomp your feet. If you’re happy, and you know it, stomp your feet! Let’s stomp our feet together. If you’re happy, and you know it, pat your shoulder. If you’re happy, and you know it, pat your shoulder! Let’s pat our shoulder together. Rúguŏ gǎndào xìngfú nǐ jiù yìqǐ pāi pāi shŏu ba! Wǒmen dàjiā dōu lái yìqǐ pāi pāi shŏu. Rúguŏ gǎndào xìngfú nǐ jiù yìqǐ duò duò jiǎo ba! Wǒmen dàjiā dōu lái yìqǐ duò duò jiǎo. Rúguŏ gǎndào xìngfú nǐ jiù yìqǐ pāi pāi jiān ba! Wǒmen dàjiā dōu lái yìqǐ pāi pāi jiān. The wheels on the bus go round and round, round and round, go round and round. The wipers on the bus go swish, swish. Swish, swish. Swish, swish. The wipers on the bus go swish, swish. The horn on the bus goes beep, beep, beep. Beep, beep, beep. Beep, beep, beep. The doors on the bus go open and shut. Open and shut. Open and shut. The wheels on the bus go around and around. 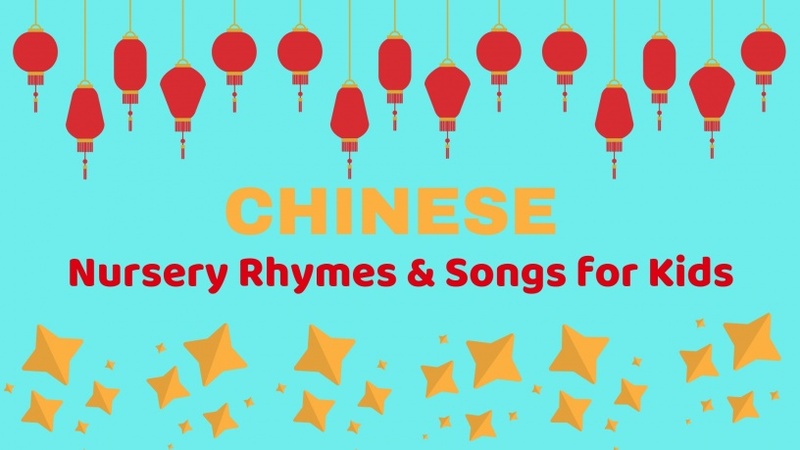 We hope you enjoy these Chinese nursery rhymes and these lyrics help you to all sing along together. If you know any other Chinese children’s songs let us know! 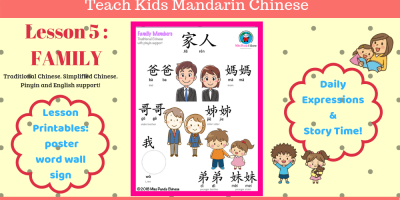 Looking for other resources to help your kids learn Chinese? 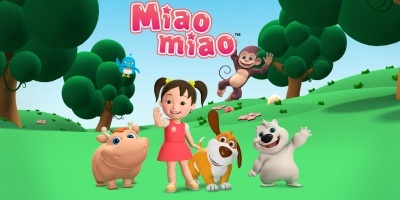 We have a fantastic list of Chinese Cartoons, and a Learn Chinese for Kids series which includes printable lessons and resources to help teach kids Chinese! Make sure to check them out! Author: Judith Cheung is a mom of one, (with one on the way) in a biracial marriage. Judith grew up barely speaking Chinese until university where she picked up Cantonese and then learned Mandarin. She hopes her children, although only half Chinese will learn the language and the culture. 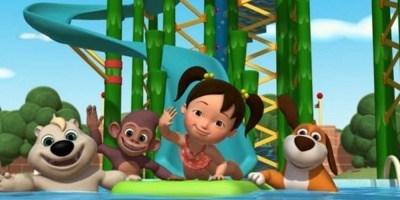 Judith also works with Lofty Sky Entertainment, the producers of the Chinese cartoon ‘Miaomiao’.